**IELTS is not hit and trial ! Spending RS25000 for the test and if not cleared once than to pay another RS25000….. !! Please, don’t waste your time and money repeating the IELTS test. 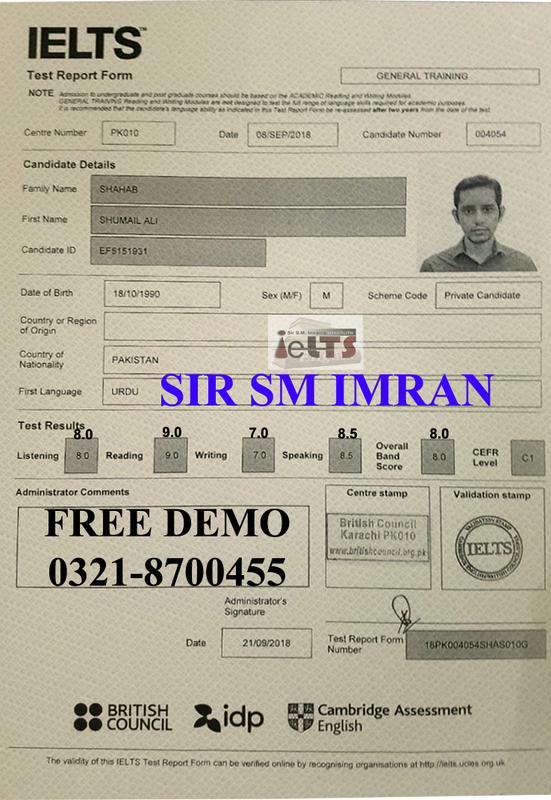 ** Get Coaching from a staff where history of IELTS test results of previous students is evidence . It clearly shows Our Tips and Tricks are Working Wonders for our students. Reading, Listening, Writing or Speaking..
* Individually focused Listening and Speaking sessions, Regular MOCK TESTS, HOME WORK & Notes are provided everyday. *WE PROVIDE 1 to 1 Attention and specially designed course for your regular improvement. 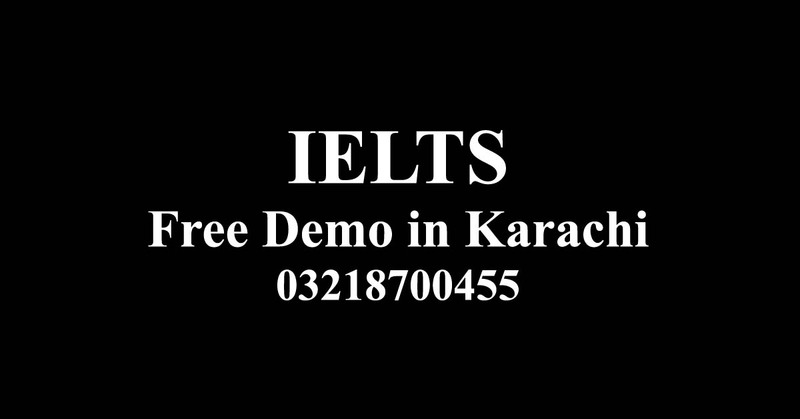 (Academic and General IELTS training ) . SHARAE FAISAL, PECHS BLOCK 5, NURSERY, CAMPUS 1. GULSHAN-E-IQBAL, BLOCK 5, NEAR NIPA, CAMPUS 2.